2017 MUMS For Our Buddies was a GREAT SUCCESS! 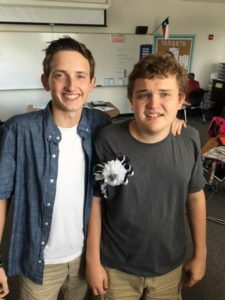 For the second year in a row students in VHS special education received homecoming mums as a gesture of friendship from students in AD Team and VHS Legacies. 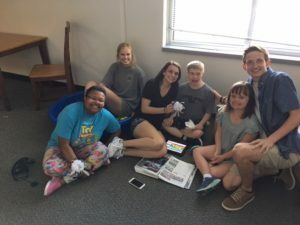 Students in the Special Education Department were surprised during PIT on Thursday of homecoming week by members of the Accepting Differences Team who presented them with mums and shared in the excitement of the upcoming game and festivities. 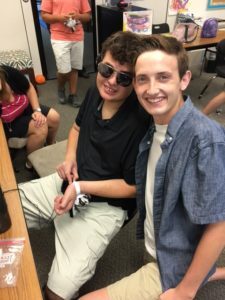 This heartwarming exchange was a collaborative effort between the AD Team, VHS Legacies, and the Viper SPED Booster Club. 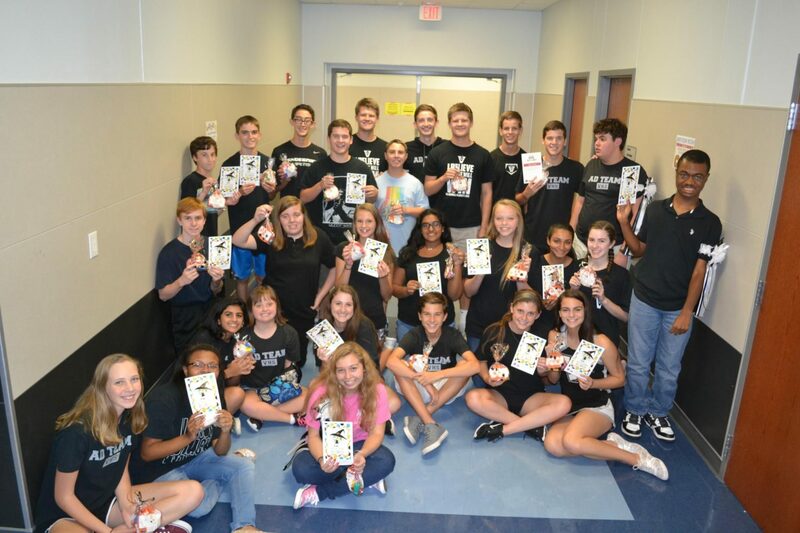 Thank you to all who helped bring this lovely new tradition to fruition this year! http://vipersped.com/wp-content/uploads/2016/09/ViperSPED_New_Logo.jpg 0 0 Kim Hartman http://vipersped.com/wp-content/uploads/2016/09/ViperSPED_New_Logo.jpg Kim Hartman2017-11-12 14:59:332017-11-12 14:59:332017 MUMS For Our Buddies was a GREAT SUCCESS! JOIN US FOR OUR FIRST MEETING! Monday, September 11, 2017 at VHS in room 1206 During VHS Open House 5:30p.m.-6:00p.m. http://vipersped.com/wp-content/uploads/2016/09/ViperSPED_New_Logo.jpg 0 0 Kim Hartman http://vipersped.com/wp-content/uploads/2016/09/ViperSPED_New_Logo.jpg Kim Hartman2017-09-09 17:48:262017-09-09 17:50:58JOIN US FOR OUR FIRST MEETING! Monday, September 11, 2017 at VHS in room 1206 During VHS Open House 5:30p.m.-6:00p.m. 2016-2017 YEAR IN REVIEW! CLICK HERE! THANK YOU FOR AN AMAZING INAUGURAL YEAR! CLICK HERE TO WATCH OUR 2016-2017 Year-In-Review! http://vipersped.com/wp-content/uploads/2016/09/ViperSPED_New_Logo.jpg 0 0 Kim Hartman http://vipersped.com/wp-content/uploads/2016/09/ViperSPED_New_Logo.jpg Kim Hartman2017-09-09 17:33:272017-09-09 17:33:272016-2017 YEAR IN REVIEW! CLICK HERE! THANK YOU FOR AN AMAZING INAUGURAL YEAR! First SPED Booster Club Fundraiser is a Success! http://vipersped.com/wp-content/uploads/2017/01/IMG_8913-1-e1484330226480.jpg 640 480 Dominic Cinfio http://vipersped.com/wp-content/uploads/2016/09/ViperSPED_New_Logo.jpg Dominic Cinfio2017-01-12 11:43:192017-01-13 12:02:53First SPED Booster Club Fundraiser is a Success! First SPED Booster Club General Meeting of 2017! http://vipersped.com/wp-content/uploads/2016/09/ViperSPED_New_Logo.jpg 0 0 Dominic Cinfio http://vipersped.com/wp-content/uploads/2016/09/ViperSPED_New_Logo.jpg Dominic Cinfio2017-01-12 10:50:302017-01-12 10:50:59First SPED Booster Club General Meeting of 2017! 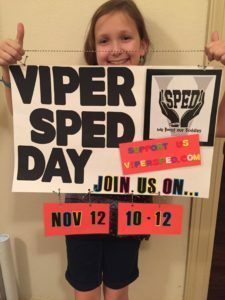 The wait is over—Viper SPED Day at Cups & Cones is finally here! Working with one-on-one peer mentors SPED students will work 30-minute shifts in four different ‘stations’ at Cups & Cones. SPED students can sign up to work just one shift or all four during the two-hour window we are starting with for this first event. We will be seeking adult volunteers as well as students to set-up/decorate, serve as peer mentors, supervise shifts, and clean up. Set-up will begin at 9am on Saturday, November 12, 2016 for a 10am-12pm work session. We anticipate 30 minutes afterward for cleaning up. 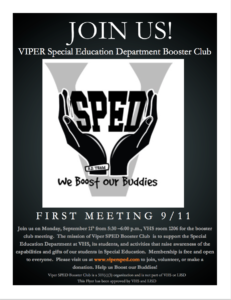 Positions will be limited during our debut of Viper SPED Day in order to ensure a successful and encouraging first work experience for our students but we hope once we get this first event under our belts and feedback from everyone who participates we will be able to expand our work day little by little. Volunteer opportunities are first come, first served, so be on the lookout for where/how to sign up (we will post instructions/link here on website as well as on our Facebook Viper SPED Booster Club page next week). We’d love to see as many VHS SPED families as possible at this event—if work/volunteer slots are all filled please attend anyway to support our kids and allow your student to observe the action (and perhaps spark an interest in working one of the next ones)! 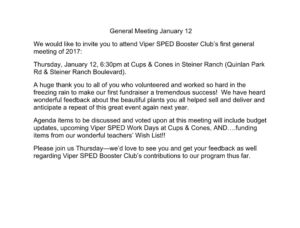 Viper SPED Boosters want to thank our Head Coach Sponsor, Cups & Cones, for helping us create this amazing opportunity for our kids! Part of the mission of the Viper SPED booster club is to promote our students’ capabilities and contributions to their community, both at VHS and at large. When Kristi Nordin mentioned the BOO bag project (a fundraiser for Lake Travis Christmas Hope) and the need for assembling the many donated items she receives into sellable cute bags/boxes, we jumped on board. 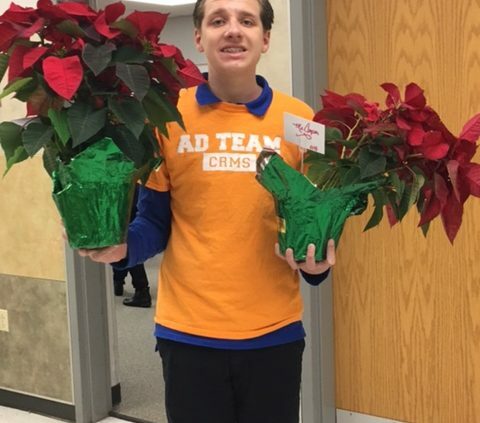 Viper SPED Booster club saw this as an opportunity for our students to contribute to their community while working on valuable pre-vocational skills. 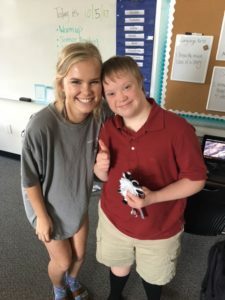 The AD Team transformed two of their weekly Friday meetings in October into BOO bag assembly central, working along side the students in SPED to create the finished projects that are currently displayed for sale at Cups & Cones. Thanks, AD Team members from both general education and special education, for your hard work to make this service project successful! 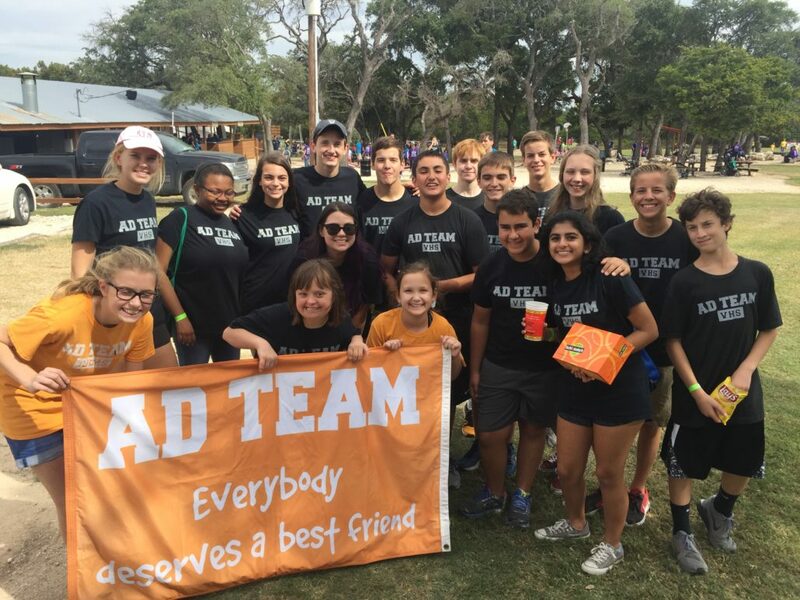 For the 4th consecutive year AD Team members came out on a beautiful Sunday afternoon to support their Teammates with Down syndrome. 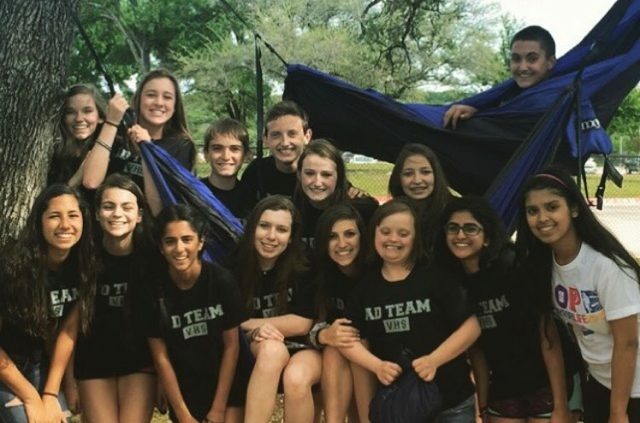 Held at Reunion Ranch in Georgetown, the Buddy Walk is a full day event offering paddle boats, zip lining, pony rides, Star Flight and SWAT Team equipment tours and more. One of our highest-attended walks in years, Viper SPED parents had their cars filled to capacity to get all our students there! 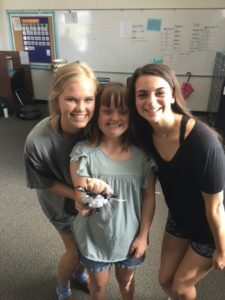 This website is maintained by the Viper Special Education Department Booster Club and is not a part of Vandegrift High School or the Leander Independent School District. Neither Vandegrift High School nor Leander ISD is responsible for the content of this website or the content of links external to this website.